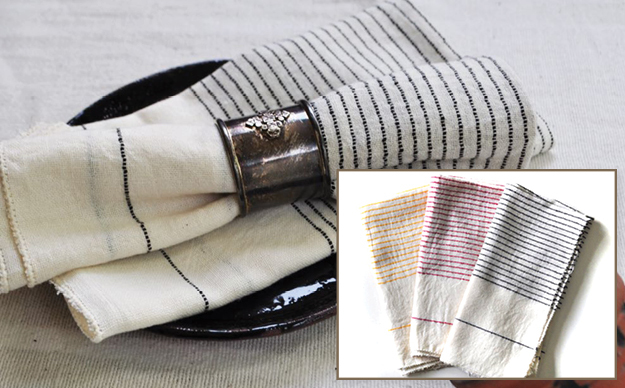 These light weight napkins are intricately designed to dress up any dinner party.Natural cotton with thin lines of gold, red or black. New size and lower price. Machine wash cool and tumble dry on low temperature.